Project Future is a community based, youth led mental health and well-being service that seeks to transform mental health delivery for young men aged 16-25, who are involved in offending and affected by serious youth violence in Haringey. Project Future is a partnership project between Mind in Haringey, Barnet, Enfield and Haringey NHS Mental Health Trust and Haringey Council. 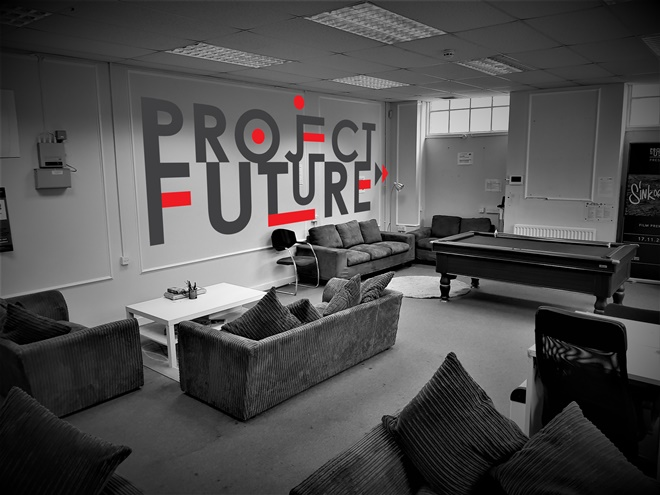 Project Future is has been co-produced with the young men themselves who are entrenched in cycles of poverty and offending, and who are not able to access regular services. At Project Future, young people are positioned as experts in their lives and in the community, and have been consulted at every level to co-design a project that best meets their needs. The service is run by a team of mental health professionals and specialist youth workers, who share lived experiences of the issues affecting the young men that attend. Project Future is underpinned by evidence based psychological approaches, which are delivered in adapted and accessible ways, wrapping holistic wellbeing support around project activities. The project adopts strengths-based approaches in which young people are not viewed as the problem but rather as capable and resourceful young men. Project Future is underpinned by the ethos that young people become stuck in cycles of offending and face challenges to their wellbeing due to the complex interplay of social, racial and health inequalities that operate across different levels of their lives. Mental health and wellbeing: Between the start and end of the evaluation, there was a marked and statistically significant reduction in needs relating to mental health and wellbeing. 70.2% young people have accessed wellbeing support at Project Future. Access to services: Two-thirds of the young people accessed another service via Project Future, including the Department for Work and Pensions (DWP), housing, Citizens Advice, sexual health, primary care, mental health and benefits services. Access to education, employment and training (EET): three-quarters of young people accessed EET support from Project Future, including job searching, applications, business support and emotional support around barriers to and maintaining work. Reducing offending: community and criminal justice stakeholders reported perceived reduction of offending amongst young people attending Project Future. Young people describe how Project Future reduces offending in providing a safe space, routine, purpose and opportunities. 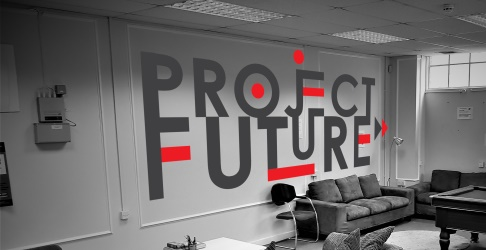 Why is Project Future perceived to work? A supportive and holistic space, where young people feel genuinely cared about and supported. A safe space, where young people are safe because of the trust, relationships, peer referral system and confidentiality. A family and community space, where young people belong, feel special and valued. An accepting and respectful space, where young people are not judged or seen as problems but are treated as agentic and resourceful. A legitimate space, where young people feel a sense of achievement and see the project as opening doors to a “legit” future. An empowering space, where young people’s voices are listened to across multiple areas of their life.